A bright, sunny day in the Village of Freeport. The Freeport Nautical Mile, operated by the Village of Freeport, is a pitcuresque waterfront main street running along the Woodcleft Canal. Waterside dining and an active nightlife draw tourists and locals alike to enjoy this excellent representation of seaside living on Long Island. 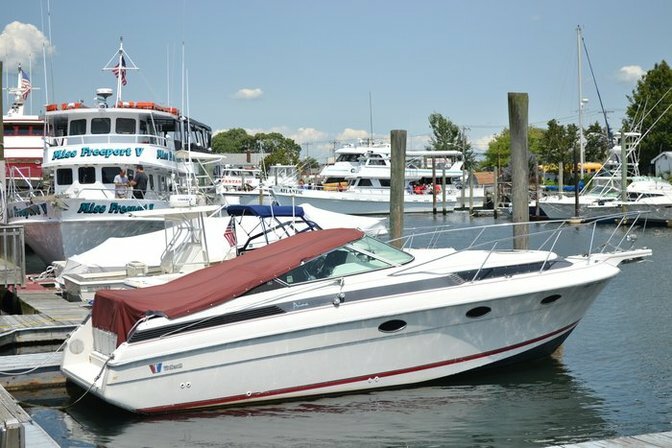 The Freeport Nautical Mile gives residents and tourists of the South Shore of Long Island in Nassau County the opportunity to escape the urban and suburban drawl and to travel back to Long Island's maritime past. The citizens of freeport have always had a love for the water. Antique lighting shines over omenade style sidewalks wide enough to accomodate the hundreds of people who come out in the summer to enjoy the night scene and the beautiful warm weather of spring and summer. Party boats line up along Woodcleft Canal and set sail in the evening, providing breathtaking views of the South Shore from the East Bay and the Atlantic. Had a rough day? Try a relaxing game of mini golf at the Crow's Nest. 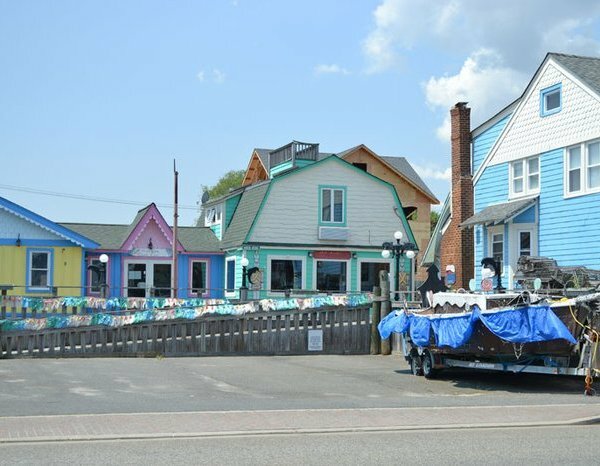 The Nautical Mile is one of the South Shore's best family friendly attractions. The Crow's Nest Mini Golf course provides 18-holes of friendly competition along the canal's edge. A four-acre waterfront park and marina, called Sea Breeze is one of the most recent additions to the Nautical Mile, and visitors to the Mile enjoy the many benches along the boardwalk under antique-style lighting, looking out onto the water. Additionally, visitors can enjoy eating at the many restaurants in the area, or shopping at the stores and boutiques that line the canal. Seafood lovers are sure to love the collection of clam shacks, oyster bars, and other restaurants that can be found on the Nautical Mile. From mussels and clams to blue crabs and lobsters, there’s a whole slew of fresh seafood to pick from when you’re located right outside one of the busiest docks in the area! Of course if you’re not in the mood for fish, Freeport’s premier restaurants have plenty of other delicacies and local favorites to dine on as well. Opened in 2015, the Paradise on the mile is one of the newest additions to the nautical mile. This lively restaurant provides regular musical performances, specialty drinks and a wide variety of fresh seafood. Stop by for some delicious tapas and try Paradise's orignal twists on classics such as the Asian Tuna Tartare Tacos, Pork Belly Lettuce and Tomato (PBLT) and Cheesburgers in Paradise. Regardless of your reason for stopping in, you're sure to have a wonderful night of delicious food and fantastic music. Be sure to check out E.B Elliot's for their delicious lunch specials, served everyday. This local restaurant promises fresh ingredients and a beautiful view of the waterfront. Interested in a more alternative dining experience? Drop by Wednesday nights after 9pm for a rousing evening of karaoke. River House Grille serves up a wide variety of fresh seafood, seasonal salads, savory pastas, and dry-aged steaks. Whether you want surf, turf, or both, RHG is sure to delight. The restaurant features a beautiful view from the outdoor deck, overlooking the water. Guests can also enjoy seating on the 80-foot front patio. On a warm summer day outdoor seating is a wonderful option. The River House Grille features special events and live music. Happy hour is Monday through Friday between noon and 6 PM. For over 17 years, Rachel’s Waterside Grill has been creating New American seafood concoctions using a fusion of fresh ingredients and innovative recipes. With expansive brunch, lunch and dinner menus, this cuisine is certain to delight any palate. Have a special event coming up? Consider Rachel's to cater for you. The restaurant features off venue catering services and a newly opened catering room. Walking from shop to shop and eating lunch on an outdoor patio is a fantastic way to spend a summer afternoon, but sometimes the cool breeze coming off the water just isn’t enough keep the heat off. On a day like that, the perfect solution is to stop by one of the Nautical Mile’s ice cream parlors to cool down with a sweet frozen concoction. Of course, ice cream is just as tasty in the spring and autumn too! Ralph’s serves a wide variety of ice cream and both water and cream-based Italian ices. Pip’s is the perfect place to host a unique children’s birthday party where kids will get to create their own sundaes! One of the best parts of visiting a busy port or dock is that if you go at the right time you’re almost bound to encounter fishing boats returning with a full day’s haul, and that means the local fish markets can get their hands on the freshest seafood possible. Whether you’re looking shellfish, whitefish, or anything else from the nearby waters you’re sure to find it at one of these markets. Fiore Brothers has specialized in fresh wholesale, retail, cooked, and fried seafood since 1946. There’s nothing quite like a night on the water to really take in the beauty of a port town. While many people might think of extended trips to tropical islands when they hear the word “cruise,” you don’t have to break the bank to enjoy the open seas. 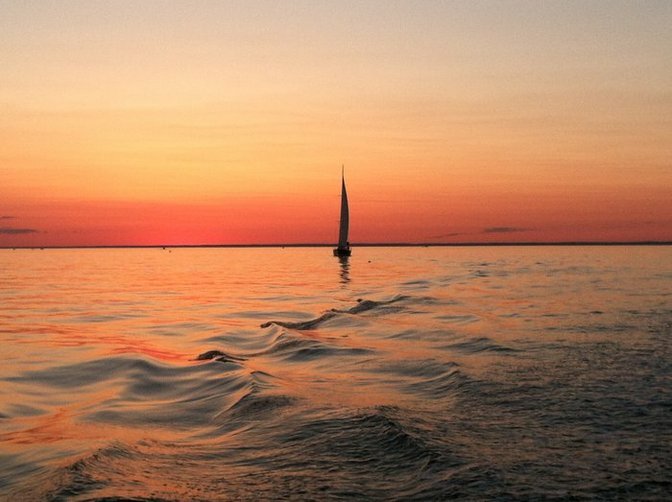 Local cruises right here on Long Island will allow you to host an unforgettable party, enjoy a dinner on the water, or wow clients with an amazing corporate event on the ocean! Enjoy a full day out on the water and witness a beautiful sunset from your cruise ship. The Freeport Princess is Long Island’s premier luxury yacht. Measuring in at 106’ long, it’s sure to accommodate even the largest of parties! 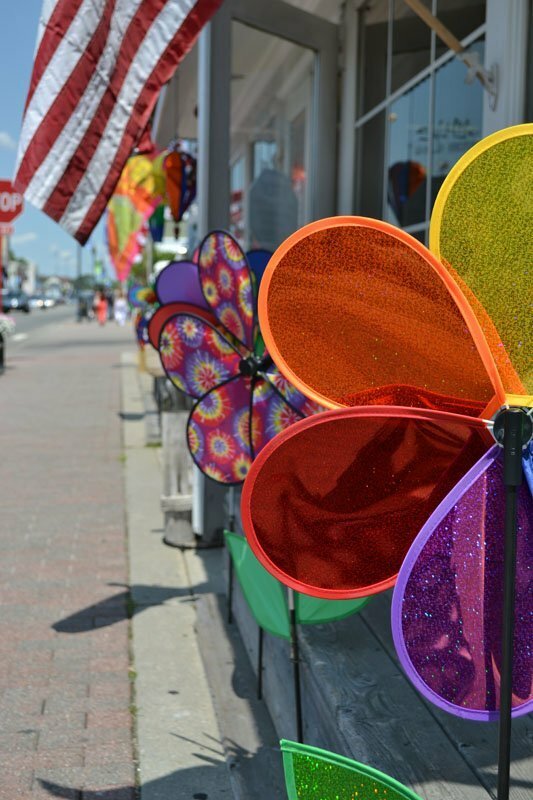 With a plethora of fantastic local businesses packed into a stretch of waterfront properties, the Nautical Mile is the perfect place to spend an afternoon or an evening, but it isn’t the only part of Freeport worth visiting. These nearby hot spots are just a short distance from the Nautical Mile and are every bit as entertaining! This 3,000 square foot indoor/outdoor patio and lounge serves delicious food and perfectly blended cocktails right next to the Inn’s marina. Located on the scenic Hudson Canal, The Freeport Yacht Club is the perfect spot to host a wedding, party, corporate meeting, bridal shower, or other major event. Being on a large yacht can be great fun, but if you prefer a more secluded experience then renting a kayak is a great way to get out on the water by yourself or with a small group of friends. You can even row by the Nautical Mile! 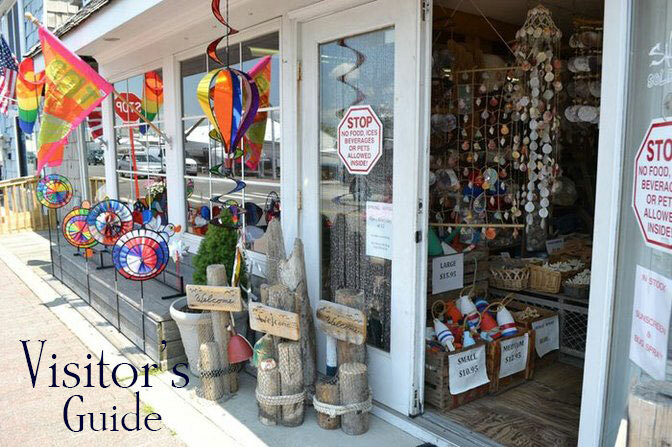 If you're looking for fun things to do in other great places on Long Island, check out our other Guides for Sag Harbor, The Hamptons, Ocean Beach, Fire Island, Northport, Greenport, Port Jefferson, Montauk and North Fork!